Texas recently launched Project Share, a portal offering teachers online professional development, Web 2.0 connectivity, and enriched classroom resources. It’s not news that collaboration is a proven method of effective teaching, and Web 2.0 has enlarged peer collaboration to a global scale. Here are some of the coolest tools you can use to kick-start collaborative projects in any curriculum. 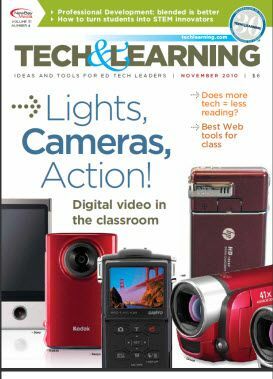 Educators are flipping for Flips and other inexpensive digital cameras. Here is a sampling of ways you can use these tools in any curriculum. • Does more tech = less reading? • Which schools are safest? • How much do you actually use in school? Stephen Biscotte has stepped up to the STEM challenge with his PIT Crew: Physicians-In-Training program. Why aren’t parents talking to their kids about TV?